Airtight is an insulation installation company that provides commercial, residential and metal building insulation services. Airtight is an insulation contracting service that is available for both residential and commercial insulation jobs. We are located between Grand Rapids and Lansing, which makes our location ideal to provide insulation services anywhere in between. We use environment friendly spray foam, including airkrete. Updating the insulation in your home will increase your comfort and reduce your heating and cooling costs. Airtight Insulation is licensed, certified and professional. Contact us to get an estimate for your next residential or commercial insulation project. We also provide insulation for metal roofing and metal buildings. Airtight insulation is hard at work providing our communities with environmentally friendly spray foam. We use Airkrete to keep our neighbors homes warm and cool, all while saving them money on energy costs. We provide insulation installation services for both residential and commercial needs. To learn more about the benefits about our environmentally friendly spray foam or airkrete. Please give one of our insulation experts a call. We would be happy to answer your questions and to provide you a quote for your next insulation project. Airkrete is a green, environment friendly insulation product. It is not only safe for the environment, but you home. No matter if your building is just being constructed or a few years old, we can provide insulation for both needs. The best way to make your home comfortable and save money on your bills is to insulate it properly. Insulation needs to be replaced and changed from time to time. This includes those hard to get to areas like attics and lofts. Periodically we like to share articles about insulation maintenance and upkeep to protect your investment. • air krete is a thermally efficient and environmentally responsible, non-toxic insulation, which is easily foamed into open or closed cavities in walls, roofs and ceilings. • At the time of application, its consistency is like shaving cream and after a few days, it hardens into stable foam to maintain long-lasting, high insulation value. • Its basic raw materials components are air, water, and MGO cement, which when combined, create a cost-effective, safe and high performance product. Developed over 25 years ago, airkrete's efficiency is both time and test proven. • Many clients, including the Audubon Society realize the outstanding technical and environmental qualities of airkrete®. The Audubon Society installed airkrete® in their Headquarters in New York City, a building, according to its architect, Randolph Croxton, that was designed to "create a model headquarters...to reduce both environmental and economic costs of buildings." Airtight insulation is a locally owned insulation contracting business. We are licensed and insured and pride ourself on providing the most professional residential or commercial insulation installation. Learn more about our company. Airtight insulation contractors are building application experts! We specialize in insulation for residential homes, commercial buildings, metal buildings, exterior foundations, pools and wine cellars, just to name a few. Get an estimate for your project. 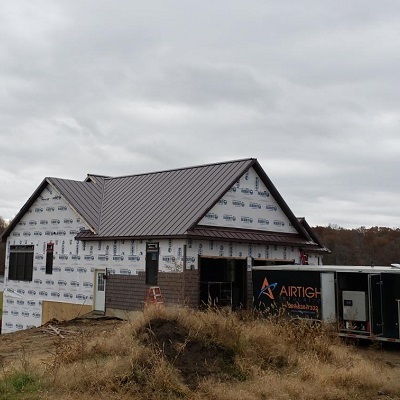 Our mission, at Airtight Insulation, is to provide the most professional and highest quality insulation services possible. 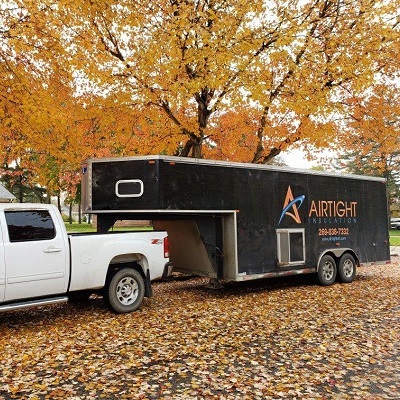 The families, friends, neighbors and businesses of Michigan rely on Airtight Insulation to make their homes and offices perfect.